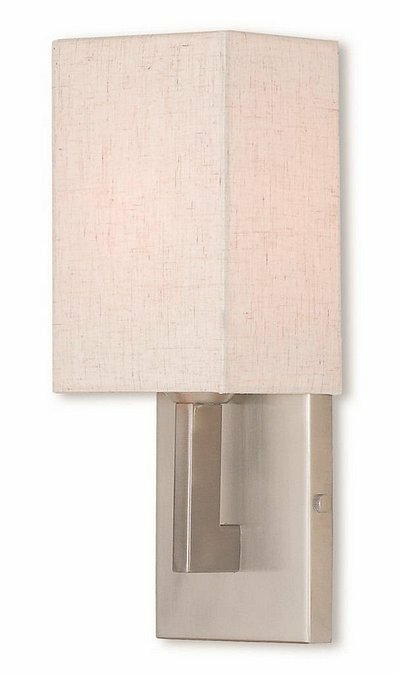 Livex 52131-91 - This wall sconce from the Meridian collection has a clean, crisp look and contemporary appeal. The sleek back plate and angular arm feature a brushed nickel finish. The hand crafted oatmeal fabric hardback shade offers warm light for your surroundings. Dimensions: 5" W x 13" H x 3.875" Ext.